The arrival of the Martians. 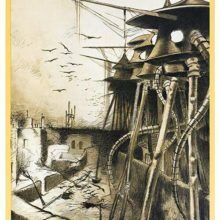 A tall machine-like figure with large round eyes and long threadlike legs brandishes a ray-gun in a ruined post-war urban landscape. The title reads: Livre premier. 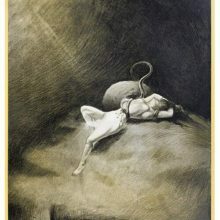 — L’arrivée des marsiens [sic].